Fall is here, which means it is almost time for Halloween and all of the trick and treat that come with this holiday. While most people know that for kids Halloween is all about scary costumes and lots of candy, it can also be a fun holiday for the entire family—especially for seniors. 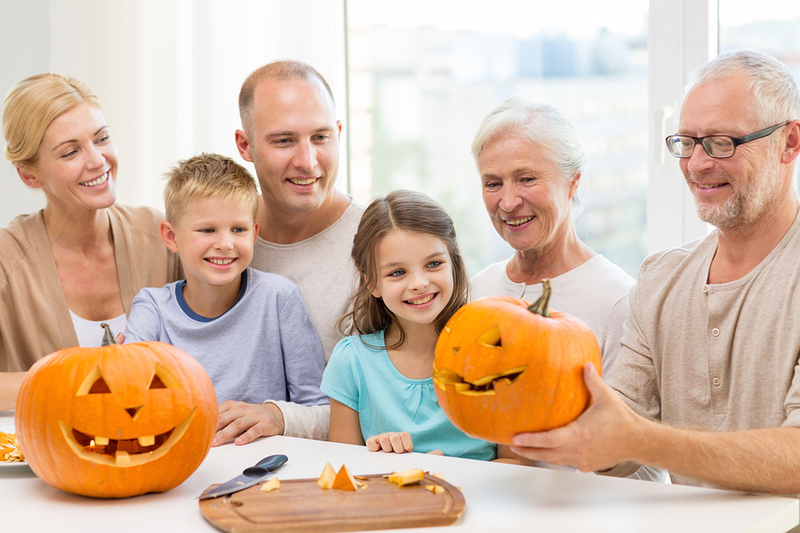 In fact, if you have a senior in your life, there are lots of fun activities that you can do with this individual to help them get in the Halloween spirit and make sure that their holiday is full of plenty of spooky fun. To help you get inspired, we have created a list of just a few of our favorite Halloween activities for seniors. Decorate pumpkins. It’s a classic Halloween activity, but one that is worth mentioning. If you are worried about your loved one using a sharp knife, opt for painting pumpkins or use safer pumpkin stickers for this activity. Watch scary movies. Instead of watching newer Halloween movies, go with some scary classics. It can be both a fun activity and a fun trip down memory lane. Look at old Halloween photos. Get out the photo albums and look back at old family Halloween costumes. Seniors will love seeing all of the different outfits that their kids and grandkids wore throughout the year. Decorate your loved one’s home or assisted living room. Decorate spiderwebs, scary accessories, ghosts and Halloween garlands are all fun ways to have any living space feeling more fun and festive. Make healthy Halloween treats. Sure Halloween is a time for candy, but it is always smart to help seniors stay healthy, even during Halloween. Make some fun and festive treats like homemade apple cider, veggies shaped like ghosts and ghouls or “devilish” deviled eggs. Hand out candy to little ones. If your senior loved one is not able to hand out candy on their own or if they live in an assisted living community where they can’t hand out candy to trick-or-treaters, invite them over to help. It can be a fun activity for seniors and they will love getting to see all of the kids in their costumes. Read scary stories. There are so many great short scary stories out there, and this time of year is the perfect time to read or re-read them! You can give your loved one the books to read on their own in their free time, or you can read them out loud together! This Halloween, try something new with your senior loved one and give these activities a try. They may be just what you need to get the whole family ready for a Spooktacular All Hallows Eve!